What Can Big Data Teach Us About Society and About Ourselves? 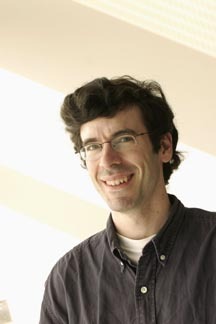 Abstract: The growth of social media and on-line social networks has opened up a set of fascinating new challenges and directions for researchers in both computing and the social sciences, and an active interface is growing between these areas. 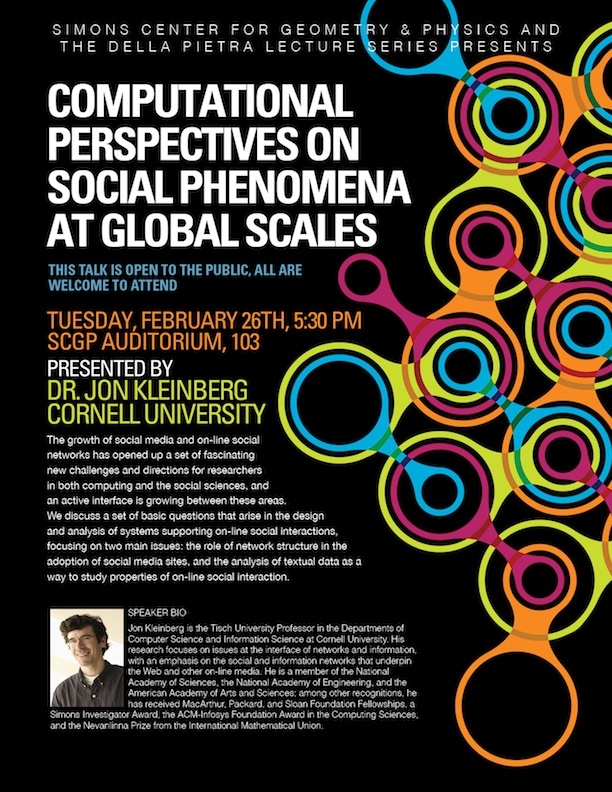 We discuss a set of basic questions that arise in the design and analysis of systems supporting on-line social interactions, focusing on two main issues: the role of network structure in the adoption of social media sites, and the analysis of textual data as a way to study properties of on-line social interaction. 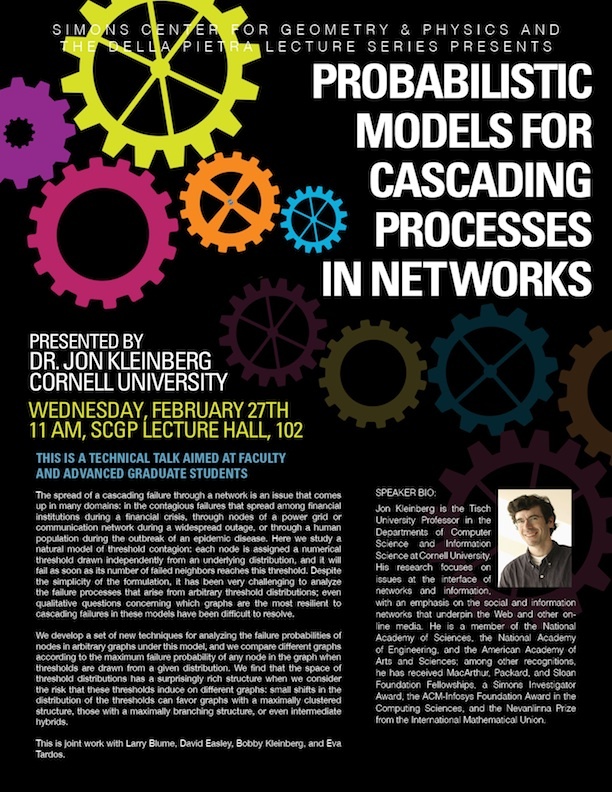 Abstract: The spread of a cascading failure through a network is an issue that comes up in many domains: in the contagious failures that spread among financial institutions during a financial crisis, through nodes of a power grid or communication network during a widespread outage, or through a human population during the outbreak of an epidemic disease. Here we study a natural model of threshold contagion: each node is assigned a numerical threshold drawn independently from an underlying distribution, and it will fail as soon as its number of failed neighbors reaches this threshold. Despite the simplicity of the formulation, it has been very challenging to analyze the failure processes that arise from arbitrary threshold distributions; even qualitative questions concerning which graphs are the most resilient to cascading failures in these models have been difficult to resolve. We develop a set of new techniques for analyzing the failure probabilities of nodes in arbitrary graphs under this model, and we compare different graphs according to the maximum failure probability of any node in the graph when thresholds are drawn from a given distribution. We find that the space of threshold distributions has a surprisingly rich structure when we consider the risk that these thresholds induce on different graphs: small shifts in the distribution of the thresholds can favor graphs with a maximally clustered structure, those with a maximally branching structure, or even intermediate hybrids. This is joint work with Larry Blume, David Easley, Bobby Kleinberg, and Eva Tardos.